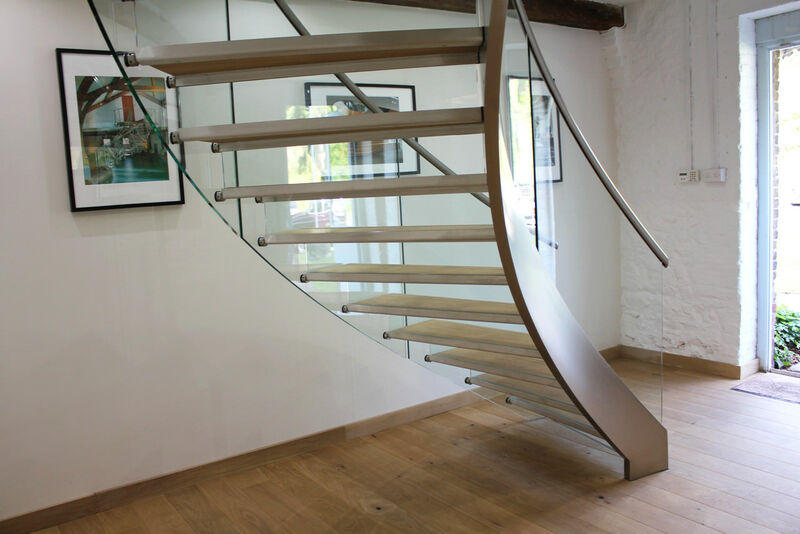 This staircase is installed in an old mill building in Sussex. 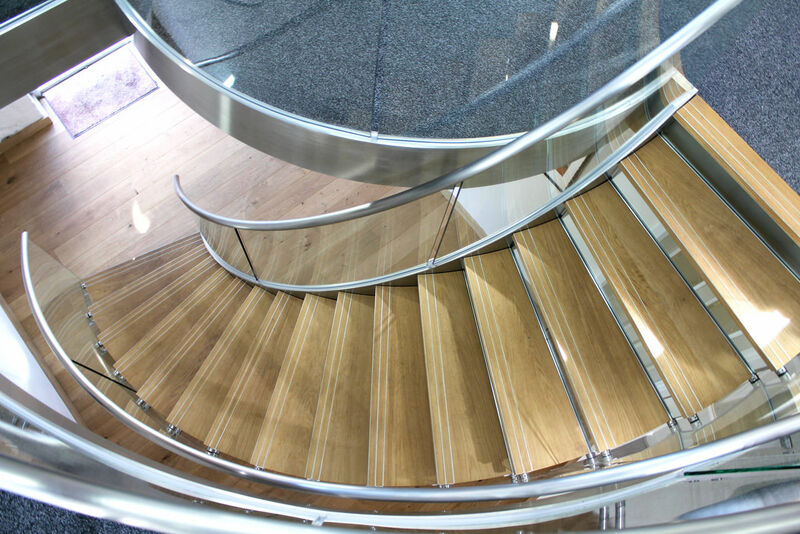 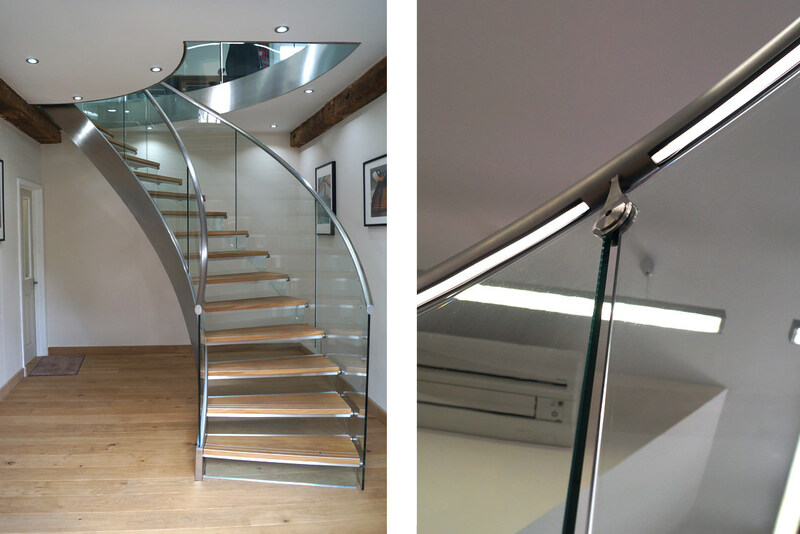 It’s a helical ’G-fin’ type stair that uses satin polished stainless steel, toughened glass and solid European oak. 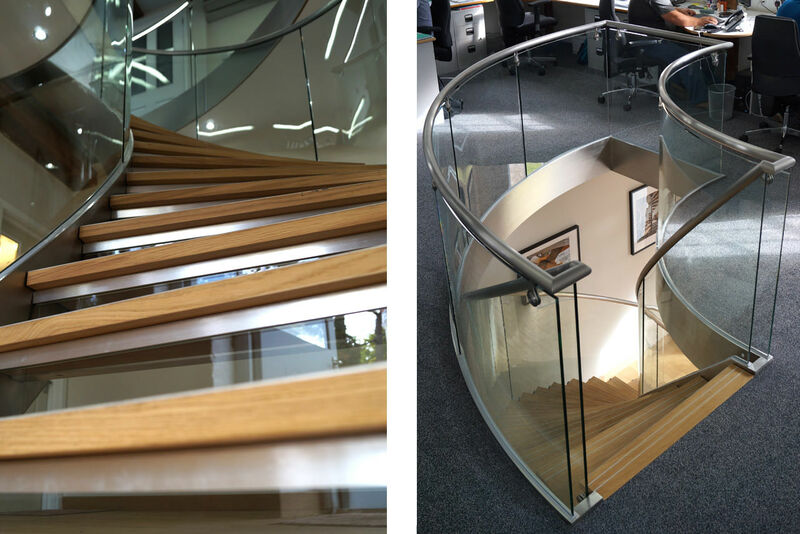 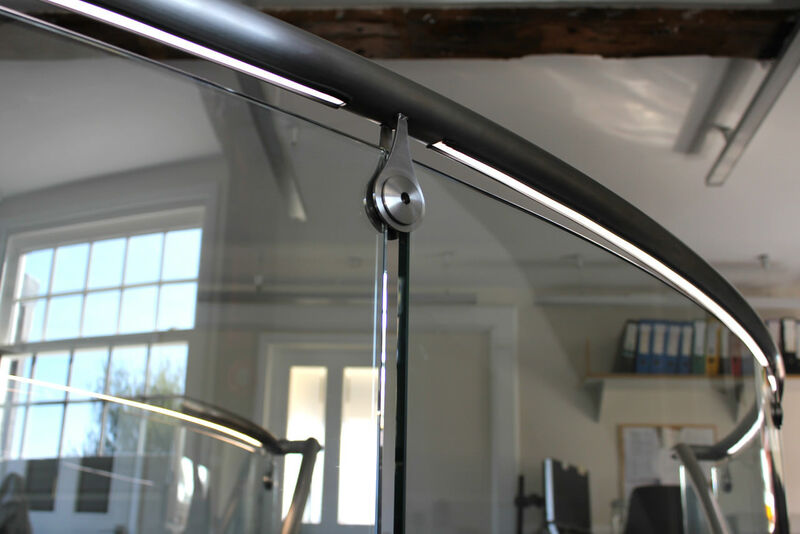 We have incorporated our new bespoke ‘HeLux’ lighting system into the handrail around the floor edge, helping to make it the central focus point of the office.